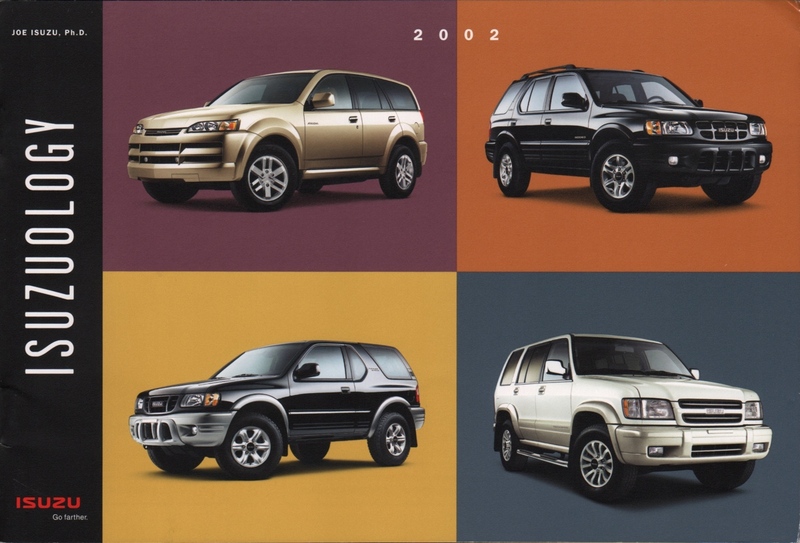 Sales brochure featuring the technology of the 2002 Isuzu lineup of cars and SUVs. Featured is the Isuzu Rodeo, Isuzu Rodeo Sport, Isuzu Axiom, and Isuzu Trooper. Specifications of each model are listed on the back cover. Brochures are presented for research use only. Company marks, emblems, and designs are trademarks and/or service marks of Isuzu.